The remark was made against the backdrop of one of the deadliest Naxal attacks on security forces by Maoists. On April 6, 2010, 76 CRPF jawans were killed in an ambush by insurgents near Chintalnar village in Dantewada, Chhattisgarh. In the last four years, however, the ‘biggest internal security threat’ has gradually been diminished, thanks to a host of initiatives to ensure a strategic and perception edge over the insurgents. The ‘red corridor’ has been substantially shrunk. 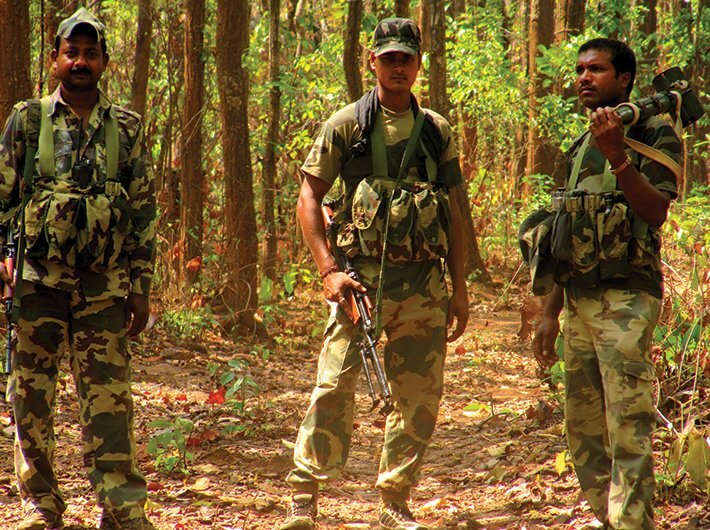 One of the biggest indicators of the shrinking base of LWE is the fact that in April the union government removed 44 districts from the list of 126 Naxalism-hit districts (while adding eight to it). The number of the worst-affected districts also came down from 35 to 30. The home ministry data also highlight the positive development. In 2017, for the first time since 1989 the number of LWE-related violent incidents has been less than 1,000. Incidents of violence have seen a 20 percent decline with a 34 percent reduction in related deaths in 2017 as compared to 2013. The geographical spread of LWE violence has also shrunk from 76 districts in 2013 to just 58 districts in 2017. This was a clear indication that the government was using a manifold strategy of demolishing the logistical as well as ideological edifice of Naxalite insurgency. At a meeting of the chief ministers of the LWE-affected states in May last year, the union home minister had announced a new strategy against the Maoists: SAMADHAN. The acronym stands for Smart leadership, Aggressive strategy, Motivation and training, Actionable intelligence, Dashboard-based KPIs (key performance indicators) and KRAs (key result areas), Harnessing technology, Action plan for each theatre and No access to financing. It was projected as totally new paradigm to tackle the left-wing extremism. Speaking about ‘No access to financing’, Rajnath Singh said that in fighting LWE groups the most important strategy should be to choke the funding, which shall prevent them from getting weapons, ammunition and basic amenities that sustains their ill-found mission. To that end, the NDA government targeted NGOs allegedly helping LWE groups. In its first 30 months, functioning licences of around 20,000 of the total 33,000-odd functioning NGOs were cancelled, primarily for allegedly violating various provisions of the Foreign Contribution (Regulation) Act, 2010 (FCRA) and in some cases for allegedly engaging in antinational activities, thus barring them from receiving foreign funds. Marxist intellectual Antonio Gramsci recommended how struggle against the establishment or an idea can be fought in two ways: ‘War of position’, an intellectual and cultural struggle where the ideology that perpetuates a certain social order or perception of what is right is dismantled by putting forward an alternative idea, and ‘war of manoeuvre’, direct frontal attack on the establishment. After dealing with Maoists for decades, the home ministry seems to have become well versed in the Gramscian tactics. From direct attacks on insurgents, the ministry also, through various development initiatives in the last four years, has tried to gradually rein in through its own ‘war of position’. Under the road requirement plan (RRP), 1,615 kilometres of roads have been constructed in last four years to improve connectivity in 38 LWE-affected districts of eight states. As many as 2,329 mobile towers have been installed for better communication connectivity. To ensure access for all to the formal banking system, 450 bank branches have been opened and 1,123 ATMs installed. With these and other development initiatives, substantive inroads have been made in filling the gaps that insurgents exploited by evoking a sense of relative deprivation among the poor tribals. Countering the Naxals ideologically has also been one of the key strategies of the union government. In April, speaking at a public event in Bijapur, one of the worst LWE-affected districts, prime minister Narendra Modi appealed the tribals of Bastar region to understand the fact that Naxal leaders were merely using them to achieve their own ulterior motives. Numbers and trends seem to show that this emotional appeal is working.